NEW! 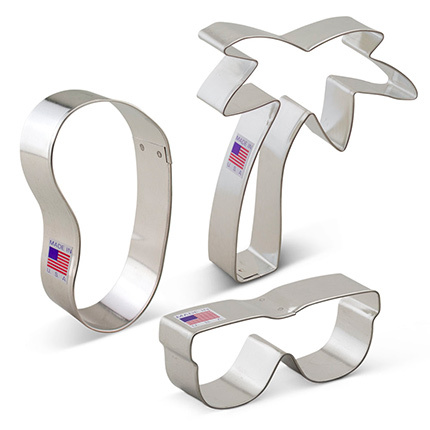 Life's a beach with this 3 pc cookie cutter set! Prep for a vacation or imagine the sandy shores during your staycation. Munch on cookies while you build a sandcastle or have them post-snorkeling. Flip Flop- 4" x 2 1/4"
Sunglasses - 1 1/2" x 3 5/8"
Palm Tree - 4 3/4" x 3 7/8"